When Jungro is exposed to the Super Gro item it undergoes a rapid transformation - into Jungro SG! Jungro's magical attack and resistance increases at the cost of speed, defense and physical attack power. Jungro's vines take on a mind of their own and react to threats without any concious action on Jungro's part, covering blind-spots and making the otherwise calm Jungro into a formidable and capable attacker! 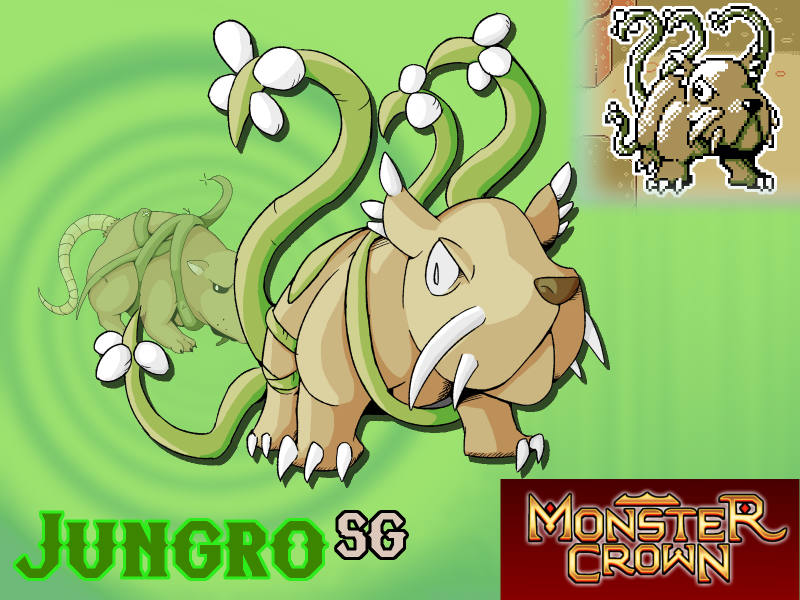 Will Jungro SG make your team?